Sitting in the garden the other day, the sun was shining, and the wildlife was abundant! I even saw a sneaky fox! The birds were being particularly talkative, so I thought I would steal the chance to snap some photo's with my new awesome lens. I was amazed at how clear these photo's came out, the trees are massive so I really didn't think I'd be able to get as close up as I did. 1. A Chaffinch - This fellow was particularly 'chirpy'. He was adorable. I don't know anything about birds but I managed to guess that he was a chaffinch. Hurrah for me! Maybe it is a hidden talent. David Attenborough eat your heart out. 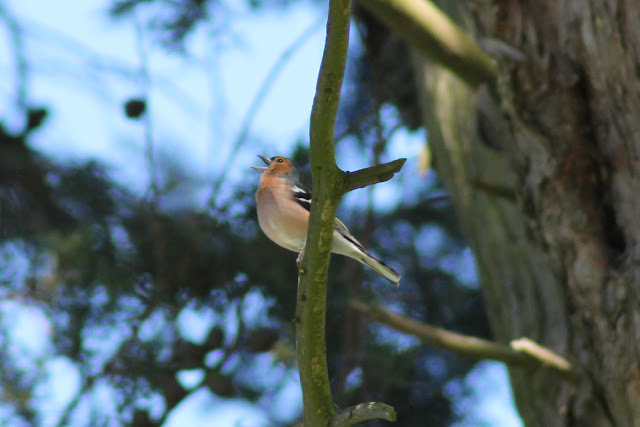 -- Here he is again, making a racket. 2. The rare lesser-spotted Pigeon! Ok, so its just a pigeon, but a cool photo none the less. 3. A Magpie. This one is looking particularly mysterious as we can't see his eyes. I think he is incognito as he is about to steal something shiny. Maybe not the most difficult of birds to find, but I think it is a good start. I'm getting quite into this now. Maybe I will buy a bird watching book and some binoculars and see how many I can get photos of! Do any of you have any cool wildlife in you gardens, or like bird watching? Brilliant! Those are great pics of the chaffinch. And thanks for the heads up on bird types - we have a couple of these that sit outside our windows and I had no idea what they were. 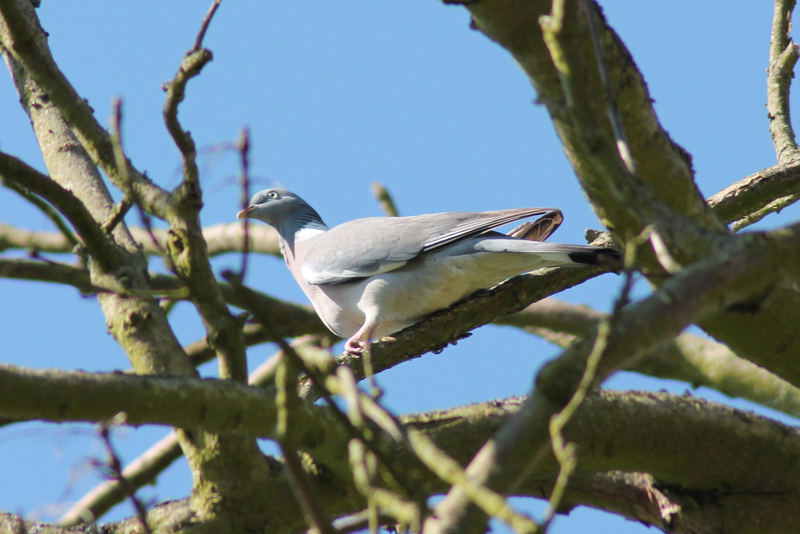 We also have a very fat wood pigeon that I have named 'Poirot' who sits on a tree outside.